Yesterday, the world was rattled by both the end of The Colbert Report and the end of the first season of Serial, the most popular podcast of all time. Fortunately, as denizens of the Internet, we’ve created a place to talk about both of those things. Below (and available soon on iTunes) is the latest episode of The Serial Serial, The A.V. Club’s podcast about another podcast. 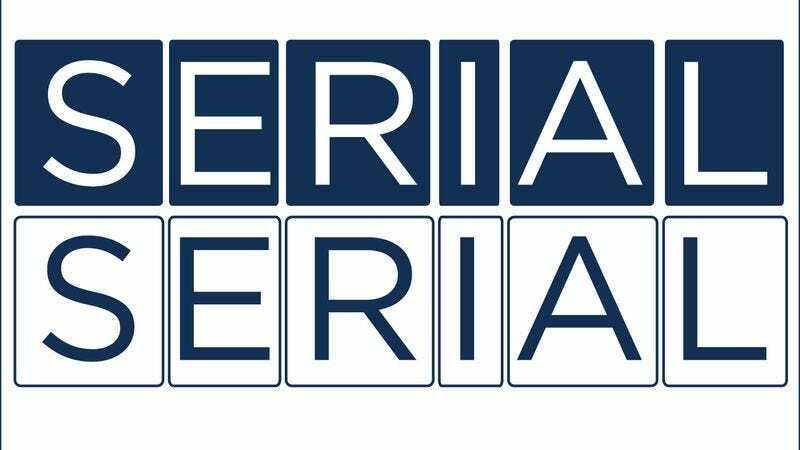 In this ep, Marah and Josh are joined by The Onion’s Jenny Crowley to talk about the show’s latest episode, “What We Know,” so, as always, don’t listen to the latest episode of The Serial Serial unless you’ve listened to the latest episode of Serial. A note: Just because Serial is done for the foreseeable future doesn’t mean The Serial Serial is over. Earlier this week, we interviewed Syed family friend, lawyer, and Serial spark Rabia Chaudry, and we’ll post that bonus episode later today. Then we’ll take a break for the holidays, but be back with at least a couple more episodes in January. Thanks for bearing with us all this time, and for listening. We really appreciate it.